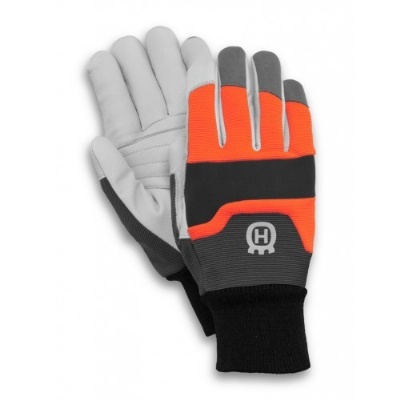 Comfortable saw protection gloves from Husqvarna. These gloves are made with a goat leather double palm featuring foam laminated spandex on the back and with nylon neoprene knuckles. The goat leather offers good protection from moisture due to its natural fat, making it ideal for demanding jobs. They are easy to put on and take off thanks to its knitted wrists, which also provide a soft, comfort feel.